In March of 1999, Spin Magazine published an article entitled, "The Lords Of Dogtown", a look at a group of skateboarders and surfers from the Venice Beach area of Los Angeles. Dubbed, "Dogtown" by the natives, the area was host to urban decay, gang activity, and a locals only surf spot that broke in the splintered pilings and rebar of the dilapidated Pacific Ocean Park, a derelict amusement park. Taking their skills from water to land, the Dogtown crew; made up of Tony Alva, Jay Adams, Stacy Peralta, Bob Biniak, Shogo Kubo, Peggy Oki, and others; pioneered a skate style based on the low, aggressive surf style required to stay uninjured at the POP break. The Spin article struck a chord with many readers, and former Dogtowner and Bones Brigade chief Stacy Peralta brought the story to life in 2001's critically acclaimed documentary, Dogtown and Z-Boys. If you haven't seen it, do so immediately. A successful piece of writing, a successful documentary...sometimes, people can't leave well enough alone. 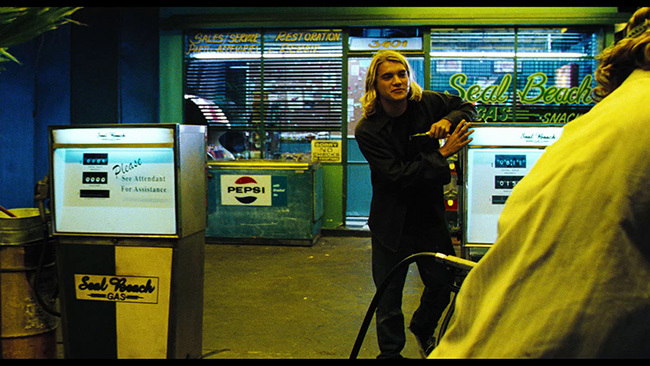 And sure enough, 2005 saw the release of Lords of Dogtown, the "Hollywood" treatment of the story, written by Peralta, directed by Catherine Hardwicke, and starring some up-and-coming talent that would make their mark in this film and others. Teenagers Stacy Peralta (John Robinson), Jay Adams (Emile Hirsch), and Tony Alva (Victor Rasuk) have one point of focus in their young lives, and that's to leave their mark on the unpredictably lethal waves at Pacific Ocean Park. With concrete and steel all around, POP is a surf spot fiercely guarded by local surfers, including Zephyr Surf Shop owner Skip Engblom (Heath Ledger) and his buddies. Before receiving Skip's blessing to get their hair wet, the trio need to prove themselves on land; launching projectiles at invaders from the valley, sabotaging their vehicles, and preventing Skip and Co.'s surfboards from busting on the pilings. But while the the three manage to impress and hold their own on the waves, it's on the asphalt that they really shine. The invention of the terrain-hugging urethane skateboard wheel makes clay obsolete, turning primitive skate decks from basic transportation into gnarly, surfboard-like vehicles capable of riding concrete like a wave. Once Skip sees what the boys are able to do on the steep, asphalt banks of a local school playground, he's inspired to start the Zephyr Competition Team, made up of all of the shop hangarounds; Alva, Adams, Biniak, Kubo; everyone except for Peralta, who is regarded as "so straight he doesn't have a shadow". Even Sid gets a shirt, poor Sid who has no equilibrium and crashes to the ground in the presence of jarring noises, makes the team. The proverbial everything changes, however, at the 1975 Bahne-Cadillac Nationals in Del Mar, when Skip marches his boys up to the registration desk and demands their trophies. The Zephyr team catch everyone off guard, strutting their stuff and demolishing the archaic upright aesthetic employed by their competition. Stacy Peralta, riding as an independent, also pulls off a win with a dazzling display of surf style and multiple 360's that garner favour with the judges. After a blowout that leads to a fistfight between the Zephyr team and the skating establishment, Stacy earns his blue shirt and joins the team. With all of that talent in one place, something has to give, and it gives quickly. As their popularity rises, business interests take notice, and soon the boys are being offered huge sums of money and other incentives to skate for other companies, leaving Skip holding the bag. The three still remain friends and skate together as a state-wide draught forces wealthy homeowners to drain their pools; inadvertently jump-starting vert skating; but as the competitions and money grow larger, so does the hostility between them. 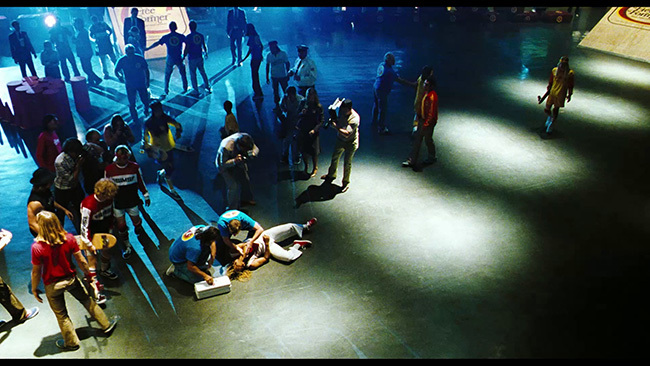 Alva and Peralta respond by fiercely battling each other for top spot, and while Alva does it to feed his rock-star ego, Peralta's incentive is financial security and the need to validate his profession as serious employment; and Jay responds by self-sabotage, throwing himself headlong into drinking, drugs, and punk rock, scoffing at the commercial success and financial rewards available, outside of helping his mom to pay the rent. But though they often occupy different time zones and mindsets across the world in demonstrating their talent, the three are brought back together by an ailing friend, and the original spirit that first stoked the fire. Seeing Lords of Dogtown on opening night in 2005 was not a pleasant experience. As a die-hard fan of the documentary, warts and all, I felt that sensationalizing the story was a typical Hollywoodish blunder to make, and was largely correct in that assumption. Active in the world of social media and skateboarding, I watched countless people who knew nothing of the Zephyr boys quote incidents from the film as fact, and was irked that the Z-boys who didn't make the transition to the film, or were barely acknowledged...Paul Constantineau, Wentzle Ruml, Allen Sarlo, to name a few...the rewriting of history by Stacy Peralta, who should have known better. However, time and age have mellowed me out slightly, and given another perspective. 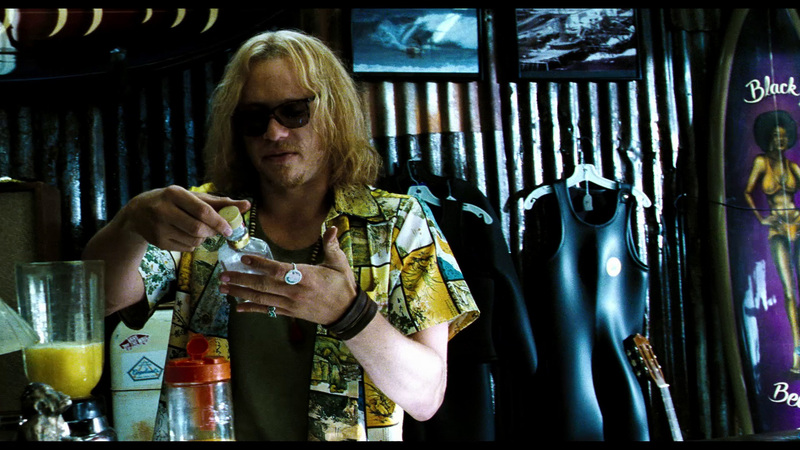 Outside of the realm of truth, Lords of Dogtown functions fairly well; it's exciting, it's engaging, it's a film dealing with a subject matter that most don't get to see, and the performances and the stuntwork elevate it above the cookie-cutter storyline. First, the performances...the three leads in this are something else. Even John Robinson, who I've slammed in other reviews, establishes himself as Peralta-like in his awkward dorkiness right out of the gate. He doesn't fit in, he's not well-liked, and his personality fits the bill perfectly. Victor Rasuk, who had previously impressed in Raising Victor Vargas and later, How To Make It In America, gets the mannerisms of Tony Alva down, his onscreen ego overshadowing his fellow actors and his fierce competitiveness never in doubt. The shining star in this one, however, is Emile Hirsch; from his physical appearance to his dialect and body movement, he captures Jay Adams to a T. The late Heath Ledger is a trainwreck as Skip Engblom, but by all accounts, should be; and it seems to be the role that he was meant to play. There are a number of noteworthy cameos as well; Jayboy Adams, Stacy Peralta, Mitch Hedberg, and Pablo Schreiber, better known as Pornstache. 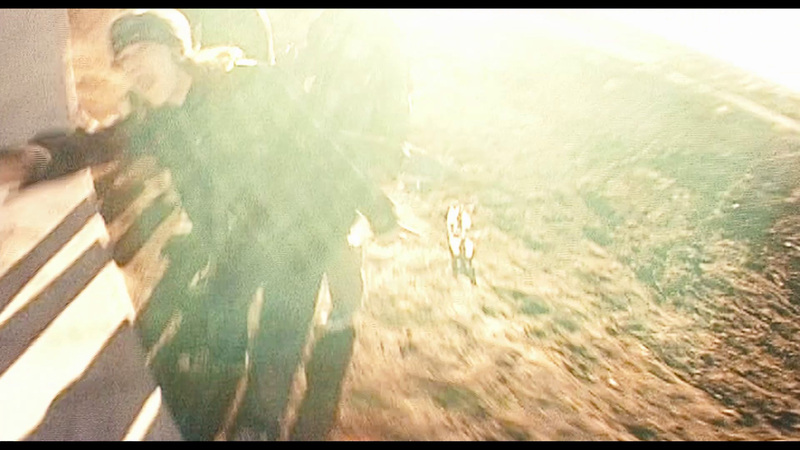 Hardwicke's style of direction is another aspect of the film worth noting, which melds with the editing divinely. 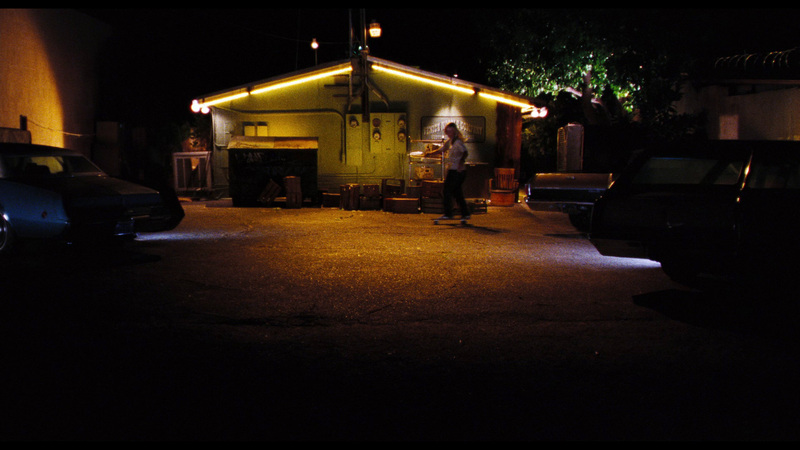 There are no dull moments here; Lords of Dogtown is fired up from the spray-paint of the opening credits right across the finish line. 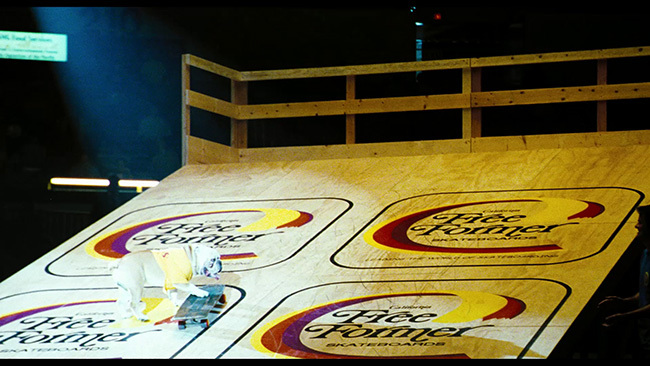 It's a loud, flashy film, with closeups of truck bushings cranking left and right, loud bearings and spinning wheels sliding on asphalt, with some clever camerawork from Lance Mountain, who jumps on a board to follow the action closely, and the stuntwork of a very competent crew, including some of the original team still capable of busting out 360's is most impressive. The Zephyr team skate hard, surf hard, and even play hard when they're not on boards, and the attention to detail in re-creating the looks and sounds of 70's Venice, from the lowriders to the wardrobe, make for an engrossing stage. Taking both lines and soundtrack cues from the documentary, one can expect the humour of the Z-boys and the tunes they were blasting at the time; The Stooges, T. Rex, Bowie, Alice Cooper, Jimi Hendrix; to accompany the atmosphere, tying everything up in an abrasive but entertaining package. Historical accuracy be damned, I suppose...where is Jeff Ho?...but if you know the story already, it's somewhat easy to overlook and get caught up in the skating. If you don't know the history, check out the documentary. 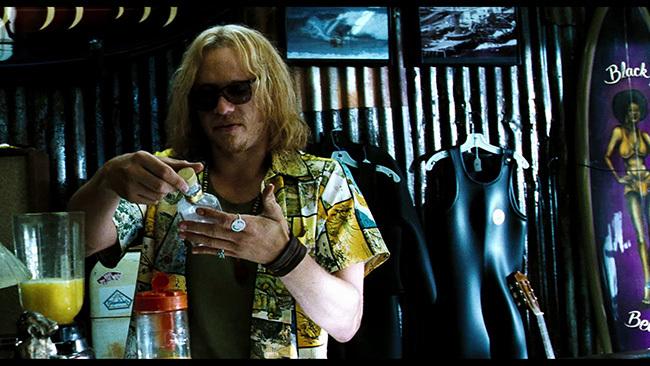 Mill Creek brings Lords Of Dogtown to Blu-ray in an AVC-encoded transfer that looks good, doing an adequate job of conveying the harsh, bleached aesthetic of the film. Grain is very present, and there's no dirt or damage to speak of. Having previously reviewed the Eureka version of this film (locked to Region B), I have to say that I prefer that release; although it's only pumping out about 10 more Mbps bitrate on average, the picture seems to really pop on that disc, while not really dazzling on the Mill Creek disc. Audio is handled courtesy of a 5.1 DTS-HD Master Audio track with optional English Subtitles, with an identical bitrate to the Eureka disc, but sounds slightly more subdued. Still, you can expect the sub and surrounds to get a workout with this immersive mix, which is lacking in distortion, hiss, and pop. The film presented on this disc is the Unrated cut of the film, which runs about 4 minutes longer than the theatrical version, but also contains dialogue that the MPAA was not appreciative of, the same cut as the Region B version. While lacking a number of the supplements found on the Eureka disc, this version does contain some good extras and one not found on the Region B release. Making Of Lords Of Dogtown (29:56) is pretty much just what the title says. Writer Stacy Peralta, Catherine Hardwicke, Tony Alva, Heath Ledger, Emile Hirsch, and other cast and crew take part in this to talk about life in Dogtown and the influence of the Z-Boys on the evolution of skateboarding. Peralta talks about how Hardwicke's previous film, Thirteen, impressed him and somehow manages to slam the film Porky's, which puts him on shaky ground with this viewer, that's for damned sure. A number of other aspects of the film are covered here, including the work that went into recreating 70's era Dogtown, and the physical training that the actors went through to perform most of their own skate and surf scenes. 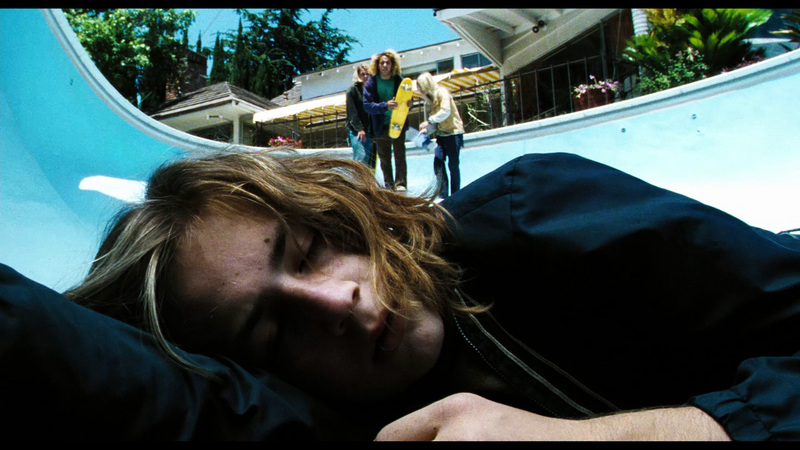 Dogged On Dogtown (6:52) takes a look at the accidents that happened on-set, including a stunt double's broken leg, and a fall that Catherine Hardwicke took into a pool, fracturing her orbital bone. Gag Reel (4:10) features some outtakes from the film, and well, it's not really gag-worthy. There's not really much funny going on here. This may be what Mill Creek has listed on the back as "Deleted Scenes". A Theatrical Trailer is also available. All of these supplements are presented with a Dolby Digital 2.0 audio track. The First Audio Commentary provided for this release features Catherine Hardwicke and cast members Emile Hirsch, John Robinson, and Victor Rasuk. This is not an overly technical commentary, you're not going to learn how to make a film from listening to it, though you will hear about some of the camera shooting techniques used, and the involvement of the actual skaters in the film. There's a lot of enthusiasm in this track, and the group talk about their love of the soundtrack, and share a ton of anecdotes from the set. Mill Creek has included a second commentary that was available on DVD but not on the Eureka disc as well, featuring Z-Boys Tony Alva and Stacy Peralta. While the first commentary is fun and enthusiastic, this one is laid back and very informative as the guys give their comments on the making of the film (they provided a lot of the stunts and advised) as well as their recollections of the original era. I was bummed not to see the commentary on the Eureka release, and it's a welcome addition here. 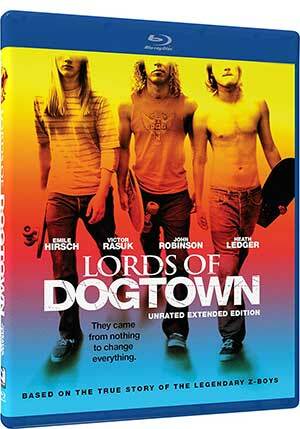 If Lords of Dogtown didn't exist, we would still have Dogtown and Z-Boys, and the world would still be an okay place. Still, this film provides a good deal of entertainment, and more skateboarding in movies can't be a bad thing. For super-fans of the film who are region-free, the Eureka! release has the upper hand in all areas except for the extra commentary; but it's a great commentary and more valuable than many of the throwaway extras available on the Region B disc. If you're locked to A, Mill Creek is the way to go, but even with the exchange to the pound, the price is comparable. Wow! That has to be the longest review you've ever written, Mark. Obviously a subject matter close to your heart. True, and thank you. . I had a couple of Santa Cruz Skateboards video zines from the early 90’s, and after seeing the real Skip Engbloom in those, Heath Ledger was eerily good as a young Skip. It was seriously on the same level as Johnny Depp as Hunter S. Thompson in Fear and Loathing. 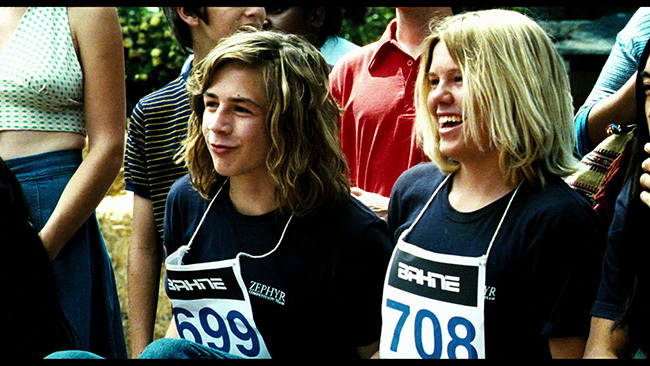 Next to Emile Hirsch as Jay Adams, I think that Heath was the best actor in the film.